Classification of the Post: General Central Service Group ‘B’ Gazetted Non-Ministerial. Training Allowance: 24% on revised pay as Training Allowance reduced by Special P.ay / Deputation Allowance as per Govt. orders issued from time to time. Method of Recruitment: By Deputation (including short-term contract). (i) Master’s Degree in Forensic Science/ Physics/Chemistry/ Toxicology/ Zoology Botany/ Bio­Chemistry/Biology/ Microbiology/ Forensic DNA & Serology/ from a recognized University. (ii) Minimum of three years of teaching experience in recognized Academic institution/ training institution/Academy. (iii) Working knowledge of computers. (i) Ph.D. in the relevant subject mentioned above. (ii) Minimum of two years of working experience in the Central Forensic Science Laboratory/ State Forensic Science Laboratory / Police training College/ Forensic Science department in any recognized University. (a) Taking theory & practical classes in Forensic Science, Forensic Toxicology and Forensic Medicine for IPS Probationers. (b) Assisting in the routine administration and maintaining the Forensic Laboratory in the Academy. (c) Holding demonstration classes of various techniques used in Forensic Science. (d) Looking after the Crime Museum in the Academy. (e) Laying simulated exercises in the Crime Scene Hall. 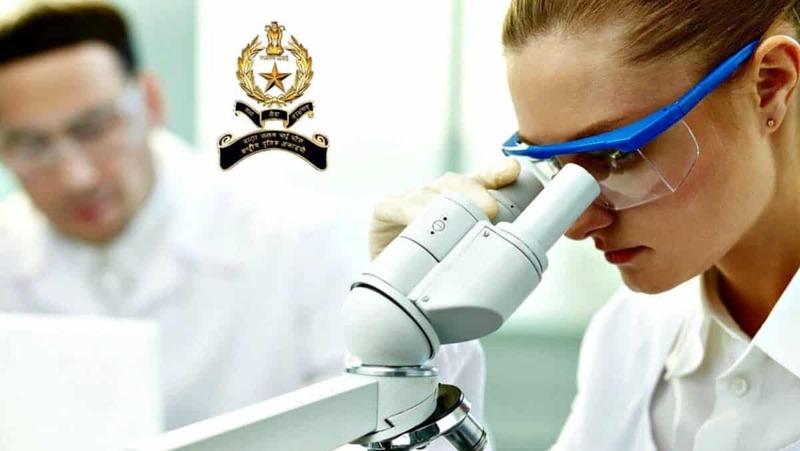 (f) Assisting the Assistant Director (Scientific Aids) who is the overall in-charge of the Forensic Science section in the Academy and also Senior Scientific Officer in Forensic Science Section. Age Limit: Period of deputation for Govt Junior Scientific Officer including the period of deputation in another ex-cadre post held immediately preceding this appointment in the same or some other organization/ department of the Central Government shall ordinarily not exceed 3 years. The maximum age limit for appointment on deputation including short term contract) shall be not exceeding 56 years as on the closing date of receipt of applications. How to Apply for Govt Junior Scientific Officer: The nominations of eligible officers along with, (a) their bio-data in the prescribed proforma (Annexure – II) duly attested, (b) Attested copies of Annual Confidential Reports for the last five years ( from 2013-14 to 2017-18), (c) details of major and minor penalty for the last 10 years and (d) Certificate(s) of Integrity, Vigilance and Cadre Clearance, may please be forwarded to this Academy through proper channel at the earliest and in any case not later than two months from the date of issue of this letter. The details including Prescribed Proforma and eligibility conditions etc are also available on SVP NPA website. Application received after the last date or application incomplete in any respect or those not accompanied by the documents information mentioned in para 3 above will NOT be considered. The Cadre Authorities may ascertain that the particulars of the nominated officers are correct as per the service records and meeting the eligibility criteria. While forwarding the nominations, the present post, pay scale of the post held by the officer and basic pay. of the nominated officers may please be indicated without fail.